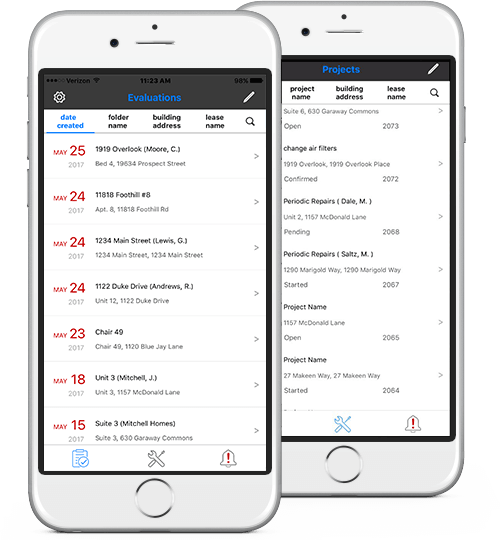 Conduct thorough property inspections in a snap with the Propertyware Inspections maintenance mobile app, available for your iOS® or Android® mobile device. Propertyware’s proprietary camera mode allows you to “snap, tag and go”, cutting inspection time by 50%. Did You Know You Can Do All This? Inspections & Evaluations Made Simple. With or without Wi-Fi, the Propertyware Mobile App lets you customize templates in seconds. By using our proprietary camera mode you can just “snap, tag and go” cutting inspection times by 50%. Make side-by-side comparisons of a tenant’s past inspections and share final reports with owners and tenants. Send new tenants a link to complete an online move-in report from their desktop at their convenience. How Chris Turner cut inspection time in half and attracted new rental home owners with the property inspection app. How to save your property management staff time on every task with one software solution. How to deliver rental home inspection reports to property owners in hours instead of days.